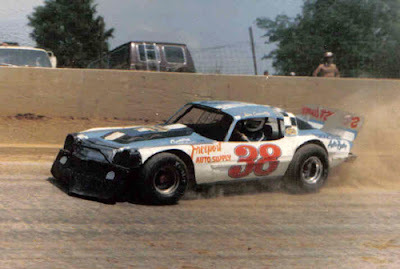 Delhi, Iowa (July 17, 1981) – John Connolly, veteran driver from Delhi, Iowa, died from an apparent heart attack while competing in the Minn-Kota Invitational late model special at Cass County Fairgrounds in West Fargo, N.D.
Connolly, who was driving Gary Crawford’s #95, was running ninth in the feature event when he lost control of his car and smashed the retaining wall in turn one. The ambulance crew and track officials worked nearly 30 minutes to extricate Connolly from the car. He was pronounced dead at the scene. Witnesses reported seeing Connolly’s head slump forward seconds before he drove straight on into the retaining wall. 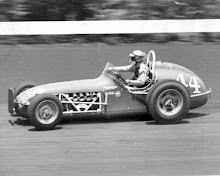 John Connolly began racing in 1958 at the age of 23 and would race for 23 more years, making numerous friends throughout the Midwest. John began his career racing jalopies at the Dubuque County Fairgrounds, racing there for four years and winning point titles for three of them. 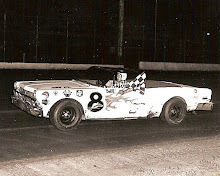 In 1962, he switched to late model modified stock cars, driving a Plymouth for Joe Lehman. By 1965, Connolly was in the top three in points at three tracks; Cedar Rapids, Davenport and Waterloo. For the 1966 season, Connolly was hired to pilot a 1961 Ford for the G&H Racing Team out of Clarence, Iowa. At the end of the ’66 season, he ranked in the top five in points at four tracks; Cedar Rapids, Davenport, Waterloo and Sterling, Ill. 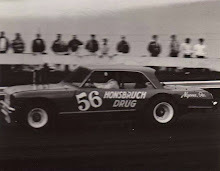 He would race with the G&H Racing until they disbanded in 1968. For the 1968 season, John drove a 1964 Ford for Chuck Thompson. 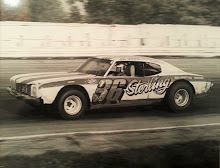 That first year he would win the point championship at Sterling and was second in points at Peoria, Ill., running only a half season He also received the “Sportsmanship Award” at Peoria. The following year – 1969 – would be Connolly’s best ever. Racing an average of five nights a week and traveling to special events all over the Midwest, Connolly racked up an impressive record. He won two invitationals at Eau Claire, Wis., finished second in the Illinois State Championships, won two invitationals at Burlington, too second in the Tri-State Championship at Davenport and also won the Corn Belt 1,000 at Sterling, Ill. 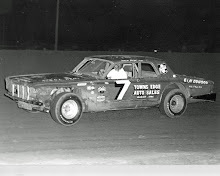 In 1970 he competed weekly at Freeport, Ill., and despite driving three different cars during the season, finished third in the point standings. He continued to drive for Thompson through 1973. For two years he raced for John Nielsen and in 1976 he teamed with Keith Simmons of Freeport and drove his late model through the 1980 season, winning the point title at Freeport in four of those five years.